"The staff were kind and responsive which is a big plus." "For the price I paid, it is a great deal." "The wifi is fast, the airco works well and there is a balcony." "It's an annexe of the main hotel but has everything you need in a good location"
"Wifi and air conditioner worked well." Well-positioned in Hua Hin City Center, Royal Express Hua Hin is the ideal point of departure for your excursions in Hua Hin / Cha-am. Set 0.5 km from the excitement of the city, this 2-star hotel commands an excellent location and provides access to the city's biggest attractions. For those of you who want to venture out, Western Tours, Pone Kingpetch Monument, Ken Diamond are just some of the attractions available to visitors. At Royal Express Hua Hin, the excellent service and superior facilities make for an unforgettable stay. 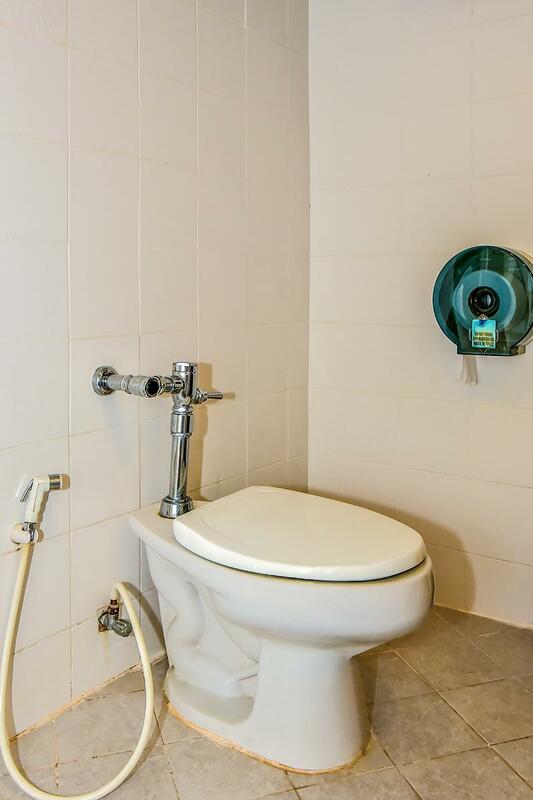 A selection of top-class facilities such as free Wi-Fi in all rooms, Wi-Fi in public areas, car park, tours, laundry service can be enjoyed at the hotel. Guests can choose from 12 rooms, all of which exude an atmosphere of total peace and harmony. Besides, the hotel's host of recreational offerings ensures you have plenty to do during your stay. 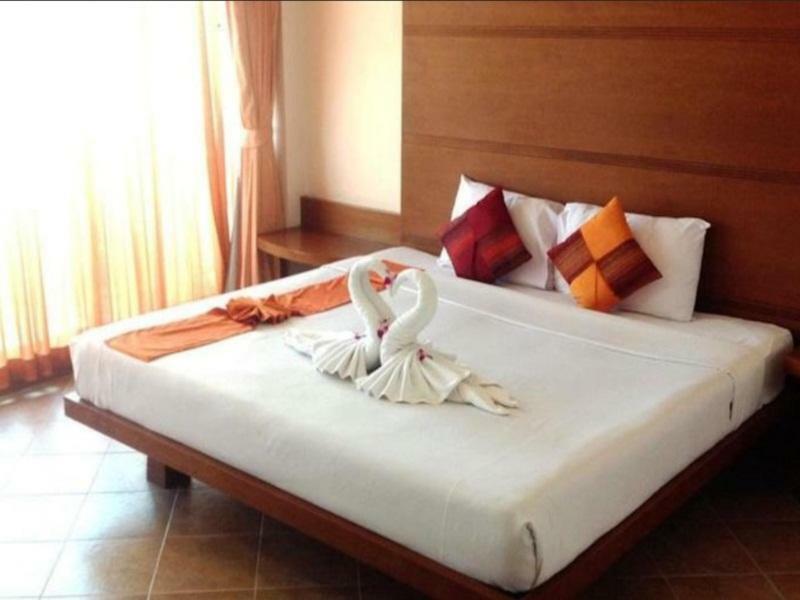 Royal Express Hua Hin is your one-stop destination for quality hotel accommodations in Hua Hin / Cha-am. Please note that the hotel offers scheduled tuk tuk service (every 15 minutes) from 10:00 am - 7:00 pm to Hua Hin Beach, Hua Hin Market Village, and Hua Hin Night Market. Please contact the front desk for timings and additional information. Please be informed that "Thai Resident Only" promotion is applicable to Thai resident and expat working in Thailand only. Guests who book these rooms are required to present Thai ID card or Thai work permit upon check-in. The hotel was cheap thanks to Agoda. For the price I paid, it is a great deal. The hotel is far from new, ut everything works fine. The wifi is fast, the airco works well and there is a balcony. Everything the website said there would be was there. The location was perfect: close to the centre and the beach, gym nearby, restaurants, street food and shops litterly next door. There is also a hospital and mall in walking distance. And the bus from Khao Tao drops you in front. Book through Agoda because if you do it directly they charge much more and then my review might have been different. The hotel was cheap thanks to Agoda. For the price I paid, it is a great deal. The hotel is far from new, but everything works fine. The wifi is fast, the airco works well and there is a balcony. Everything the website said there would be was there. The location was perfect: close to the centre and the beach, gym nearby, restaurants, street food and shops litterly next door. There is also a hospital and mall in walking distance. And the bus from Khao Tao drops you in front. Book through Agoda because if you do it directly they charge much more and then my review might have been different. Need to check-in at Hua Hin Loft hotel on Soi Alley 78, across Petkasem Road from the hotel. Convenient if walking from train station. Hotel entrance is a small glass and black frame door beside Lampraya Boat office. Room was big but noisy as balcony rooms face the main road. No lift. Our safe didn't work and a light was out. Maintenance responded quickly. Our hot water was only warm enough not to be cold. Had a fridge and hot water pot but not appropriate cups/glasses to drink hot beverages. The staff were kind and responsive which is a big plus. Wifi and air conditioner worked well. One of my worst experience in 40+ years travelling... It is no where near the 2 STAR it claims,I cannot even call this a hostel as this is just a old building on the Phetkasem Rd with no staff there, except a old thai man spoke no English on the entrance but most of the times he was not there.. they provide no towel I have to buy one, and then no hot water about 11.30pm and I woke up in the mid of the night as the aircon was stopped caused by power stoppage.. anyway I left after my first night depite I booked 3 nights. I need to walk 5 mins and cross the busy main road to another hotel (Citin hotel ? )for checking in and report problems of the room. the staff there is unfriendly. I will not recommend anyone stay there ! Although I "got upgraded" to the place shown in the pictures (excellent, no complains), the place itself is a crappy and loveless spot, attended by people which is closer to rudeness than to love. The room was not clean on arrival but the staff fixed that very quickly. 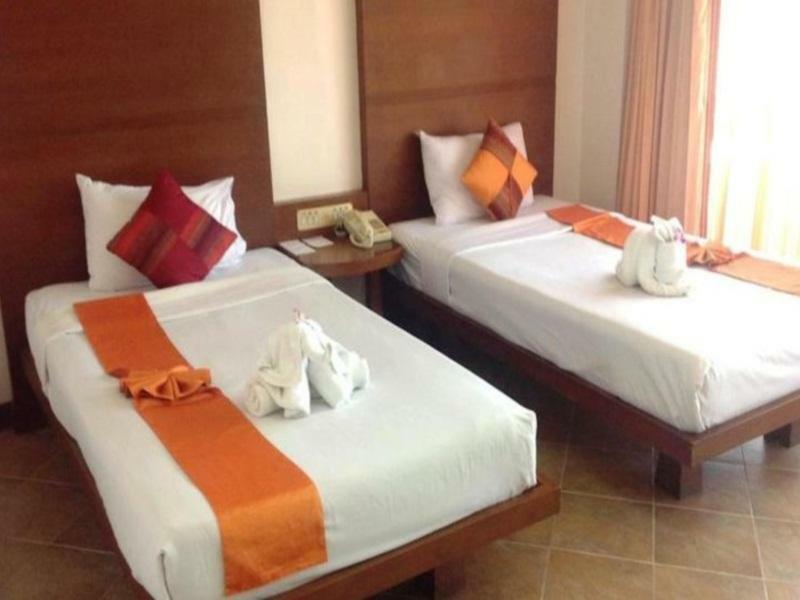 Room is very comfortable with a nice bed and good air conditioning. When we got there, we had to check in @ the parent hotel. There were only twin rooms available when we had booked kings. Neither safe was operating . With some assertive negotiation we were able to stay in the parent hotel for the first night, but we had to insist on not paying 300b more. They also lied when they said the rooms were fully booked earlier. After that, no problems and reasonable value for money. Hi, I was traveling with family. No Lift. rooms are older than 10 years , my ac was not working , they changed my room at 1 am because of this. No room service. Checkin in different building and then go to your hotel, cross Highway without any proper footover bridge. I will not recommend. The place is in the middle of Hua Hin so it's convenient as a base. But I agree with many comments here. That this place is worn out and really needs improvement. There is absolutely NO HOT WATER in the shower. The room has ants in it. One of the lamps on top of bed was broken. Nevertheless, maybe it used to be beautiful, seeing from the room furniture and ceiling light. And there is a nice terrace. What gave me the best experience about the place was the kindness of the staff at the front door who gave me a free ride to buy an electronic device that I needed. A good honest man. This isn't a hotel its some overflow rooms for the Citin Loft which is across the road. There is no reception here so you have to cross the main road to get to the Citin Loft, this can take a long time and is dangerous on foot as the traffic is fast and continuous. It's pot luck if you get good service once you have made the journey to Citin as the man is helpful but the lady on reception is not. 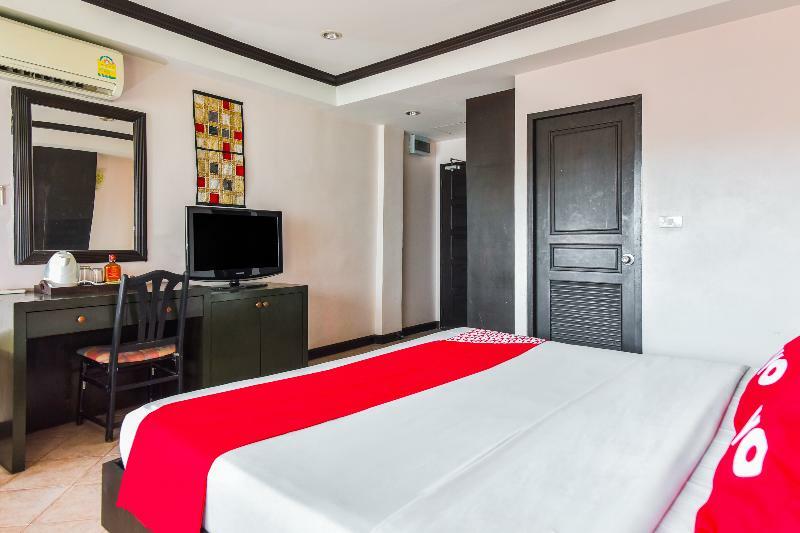 how to find the hotel: best first check in at hotel Hua Hin Loft, the former Citin Loft, then somebody will take you to Royal Express across the main road. One of the reasons the hotel is hard to find is that the sign with the name of the hotel cannot be seen from the street becaus of a large advertisement board. The hotel is not that bad but the rooms are very worn down. The furniture is old and scratchy, the bathroom facilities seems worn down too. The bed is large however and comfortable. The best thing about the hotel that the internet is unusually fast. I mean I could upload with 200kb/sec which is quite good for a hotel room. The desk is a bit small though. It is a long walk from the beach so own way of transportation is necessary. Not too many nightlife around the hotel, have to walk quite a lot for that too. Generally its pretty nice hotel. What I don't like is that you need to cross the road going to their main hotel which is the Citiloft for you to check in. It doesn't make sense. They need to have a counter in there.